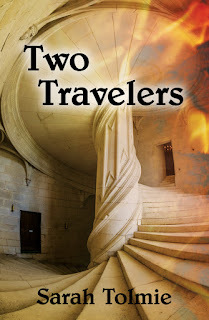 I'm pleased to announce the publication of Two Travelers, a pair of portal fictions by Sarah Tolmie, in both print and e-book editions. In "Dancer on the Stairs," a woman wakes up on a stone staircase in a baroque palace, not speaking the language of the place and lacking the chemical signature that allows people to identify each other within a complex social hierarchy. Unable to communicate in words, she resorts to dance. In "The Burning Furrow," a man who runs a diner in present-day America is also a freedom-fighter in the northern, courtly realm of Dinesen. His people are abused foreigners at home, the servants of strangers, bound not by their overlords, but by their world itself, through a ritual known as the burning of the furrows. Only he and his family are free—for a time. Now that time is ending. 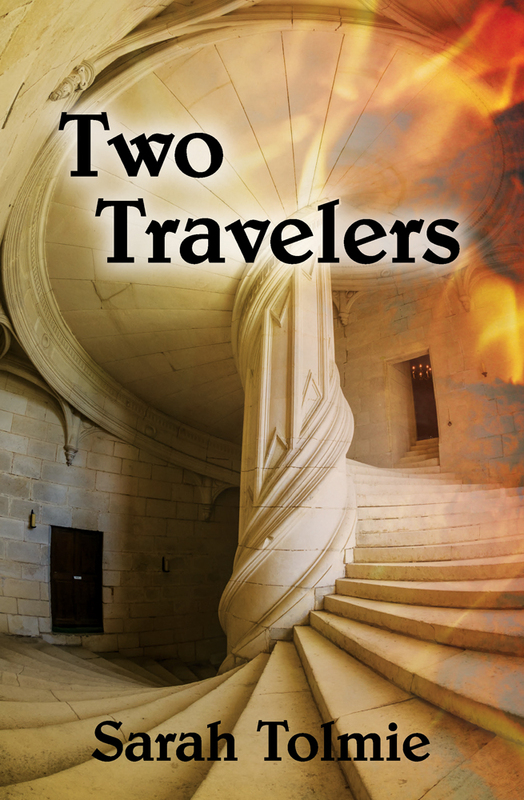 "Two Travelers is a magical evocation of the outsider experience, a book that transports its characters to strange new worlds, where they must make their way despite language barriers and culture shock. Sarah Tolmie's lyrical prose guides readers through vividly imagined cultures where the fate of a kingdom hangs on the outcome of a dance, or where, as your family's size changes, so too must your name." "Sarah Tolmie is one of the best new writers I've discovered in a long time. Her writing is a joy to read." Author and professor Tolmie (The Stone Boatmen) delivers an exquisite duo of short stories in this slim volume.... Rich with detail, both stories are imbued with baroque sensibilities, a refreshing deviation from the typical medieval setting. Rather than relying on pure exposition, Tolmie uses the characters' interactions and personalities to bring color to the unique magic of each setting. Tolmie's investigations of identity, place, and personal meaning are a delight to read and a great contribution to the genre.